Owego System Trade Routes is an album by the collaborative The Rebel Scum (Ryan Ross Smith and myself.) 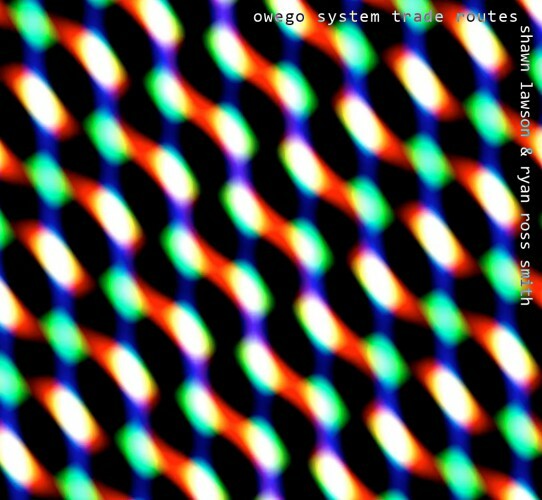 This album was the result of the creation of an Arduino based communication device bridging the live coded graphics interface and the modular synthesizer. Special thanks to Frank Appio for his research, design, and fabrication of the hardware. The hardware development and the recording of this work occurred at the Signal Culture’s Toolmaker Residency in Owego, NY.